You can add, edit and delete account roles for your Totango through the ‘Account Team’ page under ‘Global Settings’. This page displays a list all account roles in the system for you. Click on the ‘Add new role’ button on top right. 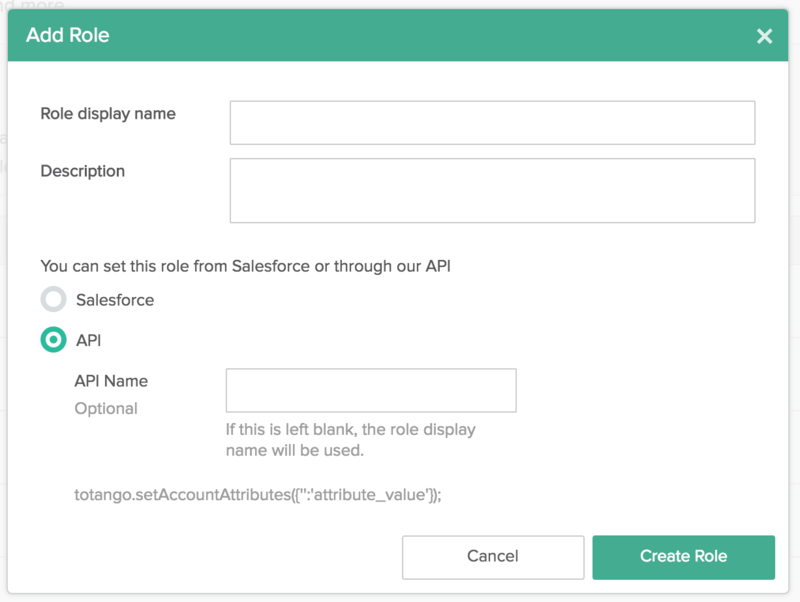 Account roles work exactly like attributes and can have Salesforce and API as their source. You should select a name, description, and source for a role and save it. Account role name cannot include special characters. Once saved, this new account role will be available on the account team and segments. Question: Do I have to use Account Roles? Answer: No. While it's recommended, it's not mandatory. Question: If I've been updating my account roles using another method, do I have to change to new functionality? Answer: No. This feature is fully backward compatible with any method you've been using.